The 39-year-old teacher's aide has been charged with physical abuse of a child. A 39-year-old teacher's aide at a Milwaukee high school has been fired after a video allegedly showing him pushing a student to the ground was posted online, Milwaukee Public Schools said in a statement. The Bay View High School teacher aide's termination was put into effect today, the school district said, adding that the decision was made based on the "district's investigation of the incident." (Google) A teacher aide from Bay View High School has been fired after a video was posted to social media of him tackling a student to the ground. The school district did not name the teacher's aide or student in question. 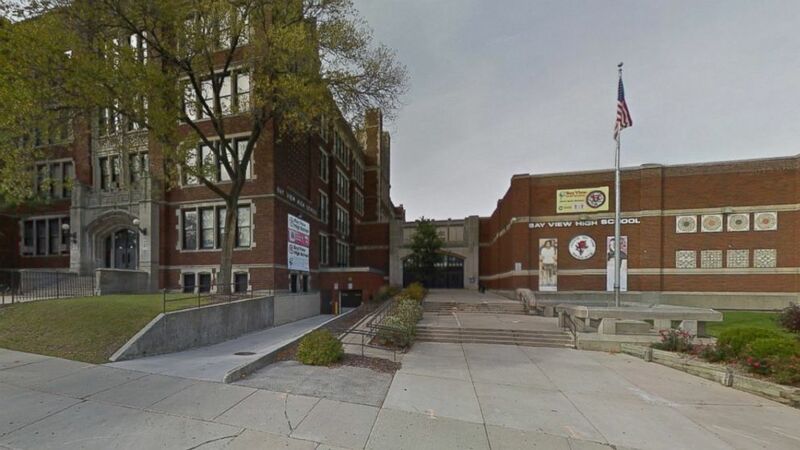 The school employee allegedly pushed a 14-year-old male student to the floor and held him there around 10:50 a.m. Wednesday, according to Milwaukee Police Department. In the video, a man appears to tackle a student forcibly to the ground while yelling expletives. The student hits chairs and a desk before he lands on the ground. 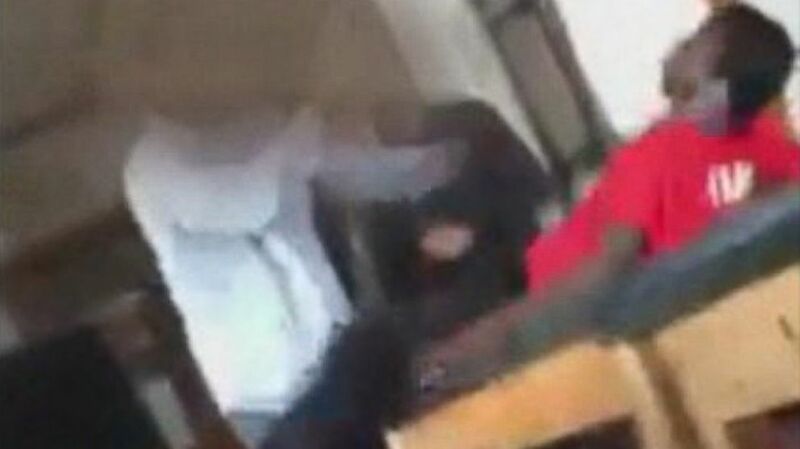 (Courtesy Brandon Smith ) A teacher aide from a Milwaukee high school has been fired after a video was posted to social media of him tackling a student to the ground. Other students were present in the classroom. They said the student and teacher were arguing in the moments before someone began to record the incident. A security guard pulled the teacher's aide off off the student, who was transported to a local hospital and treated for minor injuries, police said. The teacher's aide was arrested and charged with physical abuse of a child, police said. Milwaukee police are investigating and interviewing students who witnessed what happened.